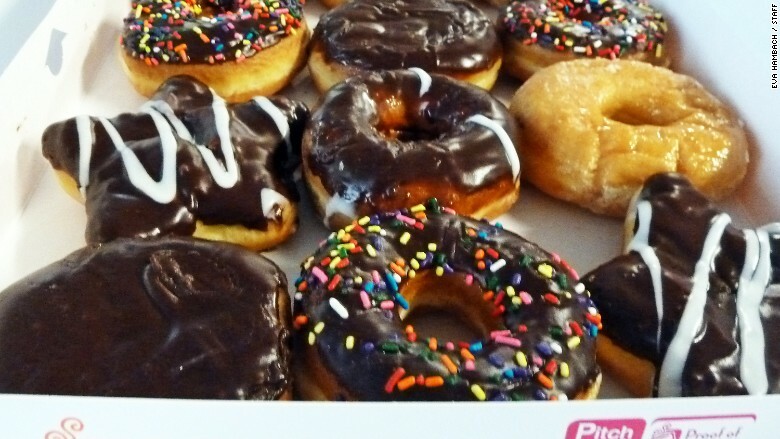 The CEO of Dunkin' Donuts has a vision for the future - one in which you won't have to get out of bed, ever, because coffee and donuts will be delivered right to your door. "Delivery is something that we will be evaluating in the future," said Scott Hudler, vice president of Global Consumer Engagement for Dunkin' Donuts. Hudler said in a statement that Dunkin' Brands (DNKN) is developing a "mobile ordering platform" which could be used as a tool for placing orders. He described delivery as a "future initiative" for his company. Clearly, the Dunkin' means to keep pace with its rival Starbucks (SBUX), which is testing a delivery service via a smartphone app in the Northwest. Fast food chains McDonald's (MCD) and Chipotle also are experimenting with food delivery in New York City. It's not just fast food chains. Amazon (AMZN) is also expanding its Prime Now service to one-hour delivery of groceries, baked good and prepared meals from local Manhattan stores, including D'Agostino, Gourmet Garage and Billy's Bakery. Dunkin' Donuts already ships product that can be ordered online from its web site, including coffee by the pound, coffee mugs and T-shirts with slogans like: "Friends don't let friends drink Starbucks." But if you want a Coolatta or Pretzel Roll Sandwich -- or for that matter, a doughnut - you still have to get out of bed and go to the store. 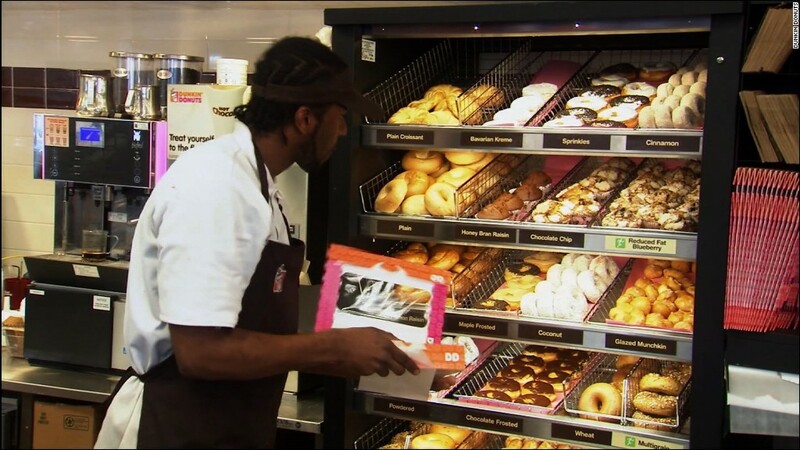 "Delivery is clearly a big opportunity," Dunkin' CEO Nigel Travis said in an interview with CNBC. "The trend in this country is convenience." You don't have to get out of bed anymore. Because some day, Dunkin' Donuts is going to start delivering.